Innovation is a means, not an end per se. 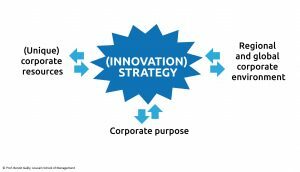 A firm’s innovation strategy should be about how its management of innovations will help it to leverage its unique resources and adjust to changes in its environment, in line with its corporate purpose. Innovation strategies should be based on what the firm understands are the present and future key success factors relevant in the environment it faces, including in particular new partnerships, and its present and future sources of competitive advantages, including in particular its unique datasets. Innovation strategies should be based on a shared understanding of who are the key stakeholders, including shareholders, employees, customers and society, and what are their expectations, especially regarding the time horizon considered and level of ambition. Strategy should drive innovation, not the other way around. 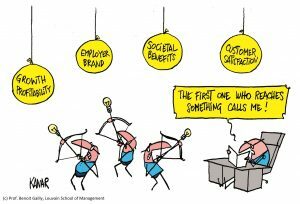 A firm’s innovation posture should therefore be defined based on what its strategic objectives are in terms of innovation, and not just on the latest innovation buzzwords or recipes. (Book) Davila, T., Epstein, M., & Shelton, R. (2012). Making innovation work: How to manage it, measure it, and profit from it. FT press. (Article) Covin J.G. & Slevin D. P. (1989) Strategic management of small firms in hostile and benign environments. Strategic Management Journal, 10 (January): 75-87. (Article) Dobni, C.B. (2010). 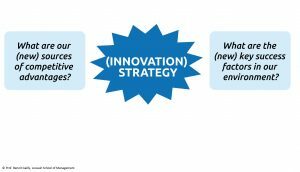 The relationship between an innovation orientation and competitive strategy. International Journal of Innovation Management, 14(2), 331 – 357. (Article) Jayaram, J., Oke, A., & Prajogo, D. (2014). The antecedents and consequences of product and process innovation strategy implementation in Australian manufacturing firms. International Journal of Production Research, 52(15), 4424-4439. (Article) Kalay, F., & Lynn, G. (2015). The Impact of Strategic Innovation Management Practices on Firm Innovation Performance. Research Journal of Business and Management, 2(3), 412-429. (Article) Mintzberg, H. (1978). Patterns in strategy formation. Management Science, 24(9), 934-948. (Article) Prajogo, D. I. (2016). The strategic fit between innovation strategies and business environment in delivering business performance. International Journal of Production Economics, 171, 241-249. (Article) Rosenbusch, N., Brinckmann, J., & Bausch, A. (2011). Is innovation always beneficial? A meta-analysis of the relationship between innovation and performance in SMEs. Journal of Business Venturing, 26(4), 441-457. (Article) Sirmon, D. G., Hitt, M. A., Ireland, R. D., & Gilbert, B. A. (2011). Resource orchestration to create competitive advantage: Breadth, depth, and life cycle effects. Journal of Management, 37(5), 1390-1412. (Article) Zajac, E.J., Kraatz, M.S., & Bresser, R.K. (2000). Modeling the dynamics of strategic fit: A normative approach to strategic change. Strategic Management Journal, 429-453. (Book) Helfat, C., Finkelstein, S., Mitchell, W., Peteraf, M., Singh, H., Teece and D., Winter, S. (2009). Dynamic capabilities: Understanding strategic change in organizations. John Wiley & Sons. (Book) Shapiro, C., Carl, S., & Varian, H. R. (1998). Information rules: a strategic guide to the network economy. Harvard Business Press. (Article) Adner, R., & Helfat, C. E. (2003). Corporate effects and dynamic managerial capabilities. Strategic Management Journal, 24(10), 1011-1025. (Article) Barney, J. B. (1986). Strategic factor markets: Expectations, luck, and business strategy. Management Science, 32(10), 1231-1241. (Article) Barney, J. (1991). ‘Firm resources and sustained competitive advantage’. Journal of Management, 17, 99-120. (Article) Black, J. A., & Boal, K. B. (1994). Strategic resources: Traits, configurations and paths to sustainable competitive advantage. Strategic Management Journal, 15(S2), 131-148. (Article) Danneels, E. (2002). The dynamics of product innovation and firm competences. Strategic Management Journal, 23(12), 1095-1121. (Article) Furr, N., & Kapoor, R. (2017). Capabilities, technologies, and firm exit during industry shakeout: Evidence from the global solar photovoltaic industry. Strategic Management Journal. (Article) Granstrand, O., Patel, P., & Pavitt, K. (1997). Multi-technology corporations: why they have “distributed” rather than “distinctive core” competencies. California Management Review, 39(4), 8-25. (Article) Henderson, R., & Cockburn, I. (1994). Measuring competence? Exploring firm effects in pharmaceutical research. Strategic Management Journal, 15(S1), 63-84. (Article) Klenner, P., Hüsig, S., & Dowling, M. (2013). Ex-ante evaluation of disruptive susceptibility in established value networks—When are markets ready for disruptive innovations?. Research Policy, 42(4), 914-927. (Article) Leavy, B. (2003). Assessing your strategic alternatives from both a market position and core competence perspective. Strategy & Leadership, 31(6), 29-35. (Article) Liao, J. J., Kickul, J. R., & Ma, H. (2009). Organizational dynamic capability and innovation: An empirical examination of internet firms. Journal of Small Business Management, 47(3), 263-286. (Article) Makadok, R. (2001). Toward a synthesis of the resource‐based and dynamic‐capability views of rent creation. Strategic Management Journal, 22(5), 387-401. (Article) Markides, C. C., & Williamson, P. J. (1996). Corporate diversification and organizational structure: A resource-based view. Academy of Management Journal, 39(2), 340-367. (Article) Oliver, Ch. (1997). Sustainable competitive advantage: Combining institutional and resource-based views. Strategic Management Journal, 697-713. (Article) Parmar, R., Mackenzie, I., Cohn, D., & Gann, D. (2014). The new patterns of innovation. Harvard Business Review, 92(1), 2. (Article) Patel, P., & Pavitt, K. (1997). The technological competencies of the world’s largest firms: complex and path-dependent, but not much variety. Research Policy, 26(2), 141-156. (Article) Peteraf, M. A. (1993). The cornerstones of competitive advantage: A resource‐based view. Strategic Management Journal, 14(3), 179-191. (Article) Schreyögg, G., & Kliesch‐Eberl, M. (2007). How dynamic can organizational capabilities be? Towards a dual‐process model of capability dynamization. Strategic Management Journal, 28(9), 913-933. (Article) Simpson, D. G. (1998). Why most strategic planning is a waste of time and what you can do about it. Long Range Planning, 31(3), 476-480. (Article) Tripsas, M. (1997). Unraveling the process of creative destruction: Complementary assets and incumbent survival in the typesetter industry. Strategic Management Journal, 18(S1), 119-142. (Article) Wernerfelt, B. (1984). A resource‐based view of the firm. Strategic Management Journal, 5(2), 171-180. (Article) Winter, S. (2003). ‘Understanding dynamic capabilities’. Strategic Management Journal, 24, 991-995. (Article) Yoffie, D. B., & Kwak, M. (2006). With friends like these: The art of managing complementors. Harvard Business Review, 84(9), 88-98. (Article) Zollo, M., & Winter, S.G. (2002). Deliberate learning and the evolution of dynamic capabilities. Organization Science, 13(3): 339-351. (Book) Baghai, M., Coley, S., & White, D. (2000). The alchemy of growth: Practical insights for building the enduring enterprise. Da Capo Press. (Book) Jonas, H. (1985). The imperative of responsibility: In search of an ethics for the technological age. University of Chicago press. (Book) Pavie, X. (2012). Innovation-responsable: stratégie et levier de croissance des organisations. Editions Eyrolles. (Article) Camillus, J. C. (2008). Strategy as a wicked problem. Harvard Business Review, 86(5), 98. (Article) Clarke, T. (1998). The stakeholder corporation: A business philosophy for the information age. Long Range Planning, 31(2), 182-194. (Article) Eccles, R. G., Ioannou, I., & Serafeim, G. (2014). The impact of corporate sustainability on organizational processes and performance. Management Science, 60(11), 2835-2857. (Article) Frey, C. B., & Osborne, M. A. (2017). The future of employment: how susceptible are jobs to computerisation?. Technological Forecasting and Social Change, 114, 254-280. (Article) Geroski, P., & Machin, S. (1992). Do innovating firms outperform non‐innovators?. Business Strategy Review, 3(2), 79-90. (Article) Gobble, M. M. (2015). The case against disruptive innovation. Research-Technology Management, 58(1), 59-63. (Article) Gottschalg, O., & Zollo, M. (2007). Interest alignment and competitive advantage. Academy of Management Review, 32(2), 418-437. (Article) Greenwood, R., Raynard, M., Kodeih, F., Micelotta, E. R., & Lounsbury, M. (2011). Institutional complexity and organizational responses. Academy of Management Annals, 5(1), 317-371. (Article) Hitt, M.A., Ireland, R.D., Sirmon, D.G., & Trahms, C.A. (2011). Strategic entrepreneurship: creating value for individuals, organizations, and society. The Academy of Management Perspectives, 25(2), 57-75. (Article) Leiponen, A. & Helfat, C.E. (2010). Innovation objectives, knowledge sources, and the benefits of breadth. Strategic Management Journal, 31, 224–236. (Article) Pache, A. C., & Santos, F. (2010). When worlds collide: The internal dynamics of organizational responses to conflicting institutional demands. Academy of Management Review, 35(3), 455-476. (Article) Pache, A. C., & Santos, F. (2013). Inside the hybrid organization: Selective coupling as a response to competing institutional logics. Academy of Management Journal, 56(4), 972-1001. (Article) Sitkin, S. B., See, K. E., Miller, C. C., Lawless, M. W., & Carton, A. M. (2011). The paradox of stretch goals: Organizations in pursuit of the seemingly impossible. Academy of Management Review, 36(3), 544-566. (Article) Stilgoe, J., Owen, R., & Macnaghten, P (2013). Developing a framework for responsible innovation. Research Policy, 42(9), 1568-1580. (Article) Suchman, M.C. (1995). Managing legitimacy: Strategic and institutional approaches. Academy of Management Review, 20(3), 571-610. (Article) Weick, K.E., Sutcliffe, K.M., & Obstfeld, D. (2005). Organizing and the process of sensemaking. Organization Science, 16(4), 409-421. (Book) Miles, R.E. and Snow, C.C. (1978). Organizational strategy, structure, and process. New York: McGraw-Hill. (Article) Becheikh, N., Landry, R., & Amara, N. (2006). Lessons from innovation empirical studies in the manufacturing sector: A systematic review of the literature from 1993–2003. Technovation, 26(5-6), 644-664. (Article) Damanpour, F., Szabat, K. A., & Evan, W. M. (1989). The relationship between types of innovation and organizational performance. The Journal of Management Studies, 26(6), 587. (Article) Danneels, E. (2008). Organizational antecedents of second‐order competences. Strategic Management Journal, 29(5), 519-543. (Article) Dibrell, C., Craig, J. B., & Neubaum, D. O. (2014). Linking the formal strategic planning process, planning flexibility, and innovativeness to firm performance. Journal of Business Research, 67(9), 2000-2007. (Article) Eiriz, V., Faria, A., & Barbosa, N. (2013). 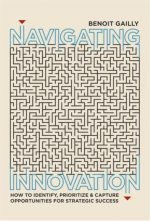 Firm growth and innovation: Towards a typology of innovation strategy. Innovation, 15(1), 97-111. (Article) Fiss, P. C. (2011). Building better causal theories: A fuzzy set approach to typologies in organization research. Academy of Management Journal, 54(2), 393-420. (Article) Francis, D., & Bessant, J. (2005). Targeting innovation and implications for capability development. Technovation, 25(3), 171-183. (Article) Gatignon, H., & Xuereb, J. M. (1997). Strategic orientation of the firm and new product performance. Journal of Marketing Research, 77-90. (Article) Gunday, G., Ulusoy, G., Kilic, K., & Alpkan, L. (2011). Effects of innovation types on firm performance. International Journal of Production Economics, 133(2), 662-676. (Article) Hall, L. A., & Bagchi-Sen, S. (2007). An analysis of firm-level innovation strategies in the US biotechnology industry. Technovation, 27(1-2), 4-14. (Article) Hollenstein, H. (2003). Innovation modes in the Swiss service sector: a cluster analysis based on firm-level data. Research Policy, 32(5), 845-863. (Article) Kanter, R. M. (2006). Innovation: The classic traps. Harvard Business Review, 84(11), 72-83. (Article) Laosirihongthong, T., Prajogo, D. I., & Adebanjo, D. (2014). The relationships between firm’s strategy, resources and innovation performance: resources-based view perspective. Production Planning & Control, 25(15), 1231-1246. (Article) Linton, G., & Kask, J. (2017). Configurations of entrepreneurial orientation and competitive strategy for high performance. Journal of Business Research, 70, 168-176. (Article) Loewe, P., Williamson, P., & Wood, R. C. (2001). 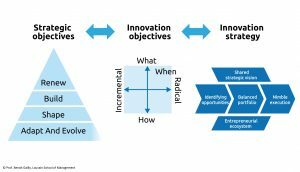 Five styles of strategy innovation and how to use them. European Management Journal, 19(2), 115-125. (Article) Miller, D., & Friesen, P. (1982). ‘Innovation in conservative and entrepreneurial firms: two models of strategic momentum’. Strategic Management Journal, 3, 1-24. (Article) Mintzberg, H. (1994). The fall and rise of strategic planning. Harvard Business Review, 72(1), 107-114. (Article) Naranjo-Valencia, J., Jiménez-Jiménez, D., & Sanz-Valle, R. (2011). ‘Innovation or imitation? The role of organizational culture’. Management Decision, 49, 55-72. (Article) Olson, E.M., Slater, S.F. and Hult, G.T.M. (2005). The performance implications of fit among business strategy, marketing organization structure, and strategic behaviour. Journal of Marketing, 69(3), 49-65. (Article) Pérez-Luño, A., Wiklund, J., & Cabrera, R.V. (2011). The dual nature of innovative activity: How entrepreneurial orientation influences innovation generation and adoption. Journal of Business Venturing, 26(5), 555-571. (Article) Pisano, G.P. (2015). You need an innovation strategy. Harvard Business Review, 93(6), 44-54. (Article) Prange, C., & Schlegelmilch, B. B. (2018). Managing innovation dilemmas: The cube solution. Business Horizons, 61(2), 309-322. (Article) Reeves, M., Love, C., & Tillmanns, P. (2012). Your strategy needs a strategy. Harvard Business Review, 90(9), 76-83. (Article) Srholec, M., & Verspagen, B. (2012). The Voyage of the Beagle into innovation: explorations on heterogeneity, selection, and sectors. Industrial and Corporate Change, 21(5), 1221-1253. (Article) Tether, B., & Tajar, A. (2008). ‘The organisational-cooperation mode of innovation and its prominence amongst European service firms’. Research Policy, 37, 720-739.